The number of North Korean workers in Malta has more than tripled since 2013 with the majority working for Leisure Clothing, according to figures provided by the Employment and Training Corporation. In July last year – the date up to which the ETC provided data – Leisure Clothing employed 36 North Korean workers. This is 63 per cent of the total number of North Koreans employed in the company in the private sector. Up to 2013, the company had no North Korean workers. Another five companies together employ 21 workers. The majority are employed within the manufacturing of textiles or the construction industry. The company denied that it has increased the number of North Korean workers. At the moment it employs 34 North Koreans, a spokesman said. They would need to leave, an obligation imposed by the company’s foreign clients, he said, without wanting to establish a time frame. Some have already left – about five left last week, he added. He also claimed there are some 200 North Koreans working in Malta, which does not tally with statistics provided by the ETC. Whereas employment licences or permits are usually granted depending on labour market shortages, permits for Leisure Clothing employees are not subjected to labour market tests. Leisure Clothing “applications for Third Country Nationals are entertained on the basis of an established quota”, the ETC said. When asked about salaries being paid to workers, the ETC said: “Generally, machine operators within the textile industry declare that the minimum wage will be provided”. In addition, the workers are paid for their lodging and food according to the company. A spokesman insisted the North Koreans “are happy here and don’t want to go back”. Leisure Clothing’s managing director Han Bin and marketing director Jia Liu are facing charges of human trafficking and the exploitation of Chinese and Vietnamese people working for their company. Three Vietnamese testified about their employment at Leisure Clothing between November 2013 and July 2014. They alleged that during the first five months they worked for an entire week between 7am and 9.30pm, with a break of one hour and 15 minutes. The following week they had one day off. Between April and July they worked the same hours but had a day of rest every week. They claimed they only received €600 during these eight months. Vietnamese worker Thi Thu Tran, 28, testified that she obtained the job with Leisure Clothing through an agency on the promise of €685 a month salary, working six days a week for eight hours a day. She alleged she was later provided with a €140 per month contract. She also alleged she was told that Leisure Clothing would hold on to her pay until she had earned €2,000, after which it would be paid regularly. She claimed her passport was also taken as a guarantee that she would not abscond. 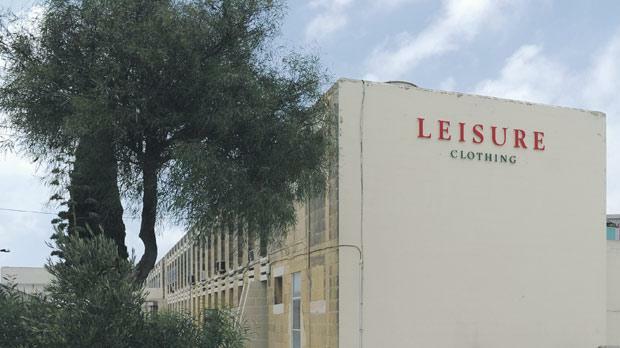 Applications for work permits by Leisure Clothing have been automatically accepted since the company was set up in August 1986, according to a quota agreed between the company and the government. The agreement was renewed by successive administrations and was last reviewed in 2014. Last September, the European Alliance for Human Rights in North Korea (EAHRNK) accused Malta and Poland of being the only EU countries to employ North Korean “forced labour”.